Experience the best quality juice by understanding each ingredient’s characteristics and knowing the optimal way of handling the ingredients. 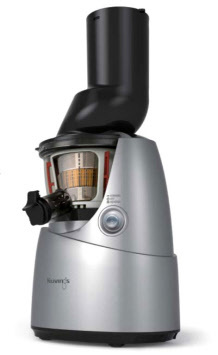 The Slow Juicer is an innovative product that uses a patented slow-speed masticating technology to efficiently extract the juice from ingredients. 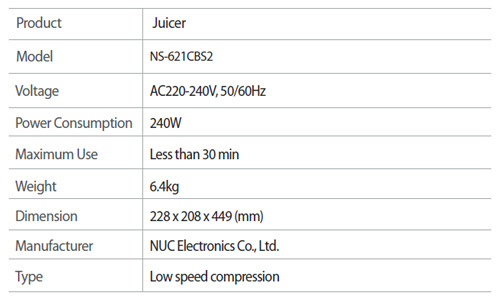 The juicer is designed to obtain the best result from ingredients with firm composition and with high water content. For best result, each ingredient should be prepared and extracted depending on its characteristics and properties.